Want to learn more about Marvel Industries? Click here to view the many products that we offer. At Marvel, we believe that confining refrigeration to the kitchen is like keeping a fine wine bottled forever. Your lifestyle simply demands more: more choices, more elegance, more quality. That’s why we are proud to offer the industry’s finest line of luxury undercounter refrigeration products, which free you to design refrigeration into any room. 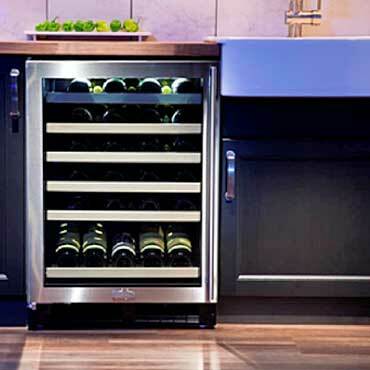 So, like a fine bottle of wine, open up and savor the features, quality and design Marvel pours into every product.